Collaboration is an important aspect of social activity associated with young children's digital gameplay. Children organise their participation as they communicate with and support one another, through sharing knowledge and problem-solving strategies, displaying their expertise, encouraging others and creatively exploring possibilities for collaborative game moves. Drawing on a social interactional perspective, we explore the situated and embodied practices of the young players aged 3–8 years. We present three video ethnographic case studies of young children's everyday peer interactions from three different settings and age groups: Australia (home), Norway (pre-school) and Sweden (afterschool). Across these settings, the findings identify how children collaborate with one another to progress the game by using multiple strategies, including instructing each other, monitoring each other's actions and problem solving. In the process, collaborative peer culture was maintained and built as the players worked towards problem solutions that require taking each other's perspectives, and sharing digital devices and skills. This focus on children's situated language use and assemblage of multimodal resources shows their moment-by-moment collaborative action. These multimodal interactions create opportunities for peer and sibling learning without the presence of an adult. The collaborative activity was a strategic resource used by the children in their digital game playing. In capturing young children's own strategies, we highlight their agency in learning occurring through social interaction and gameplay. Danby, S., Evaldsson, A., Melander, H. & Aarsand, P. (2018). Situated collaboration and problem solving in young children's digital gameplay. 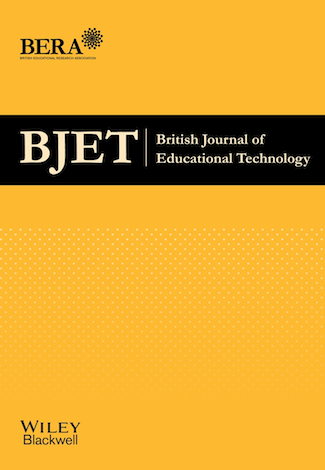 British Journal of Educational Technology, 49 (5), 959-972. Wiley. Retrieved April 19, 2019 from https://www.learntechlib.org/p/184833/.